VitalPBX has many open source and GPL components including Asterisk 13.19.0, however, VitalPBX is a freeware product much like FreePBX® which blends commercial modules and proprietary components into its distribution. It’s not our favorite business model, but we certainly understand the rationale given the disappointing GPL history in the VoIP space. For our testing purposes, Telesoft has generously provided free licenses to commercial modules. We would hasten to add that no features requiring payment were used in this article or in the demo applications accompanying it. We will cover the commercial applications requiring payment at a later date. Today we want to walk you through getting a VitalPBX server set up so that you can kick the tires for yourself. Down the road, we’ll demonstrate the ease with which you can add your own components including Incredible PBX® to the mix. If you are accustomed to setting up FreePBX-based Asterisk servers, then installation and configuration of VitalPBX will be a walk in the park. Currently, you install VitalPBX from an ISO so you have a choice of platforms: dedicated hardware, VMware ESXi, VirtualBox, or a limited number of cloud platforms such as Vultr that support custom ISO installs. Be sure to read our security warnings below before choosing a cloud-based platform without a hardware-based firewall. A Word About Security. VitalPBX includes both an IPtables firewall configurator for firewalld and a Fail2Ban intrusion detection setup that is impressive. Having said that, the IPtables firewall is activated but allows unrestricted SIP and web access with no rules to thwart SipVicious-style attacks. Unless you’re an expert in firewall design, we strongly recommend deployment of VitalPBX on a private LAN behind a hardware-based firewall or home router with no port forwarding. That will block intrusion attempts without encountering NAT problems which VitalPBX and Asterisk 13 now handle with ease. Initial Setup. 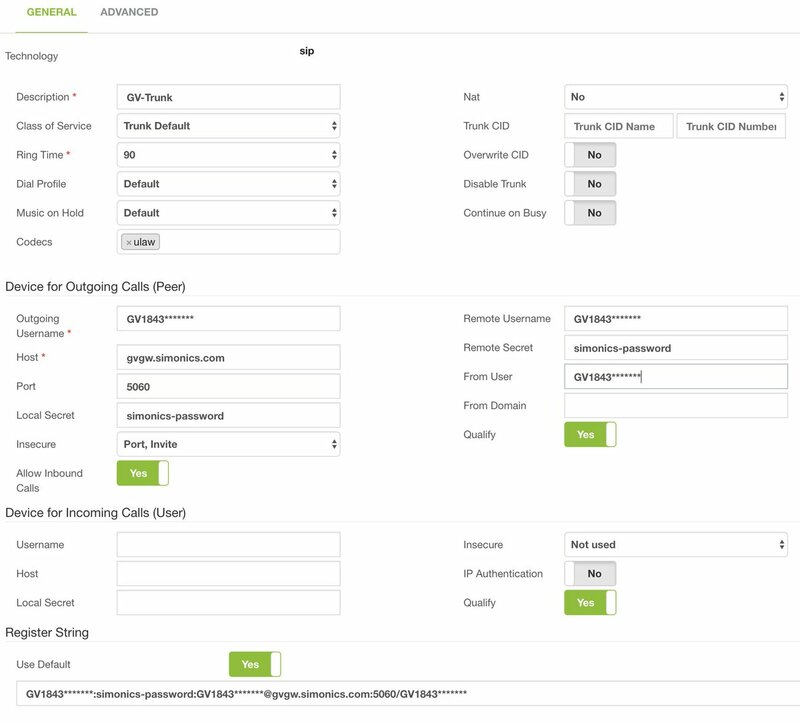 As with most PBXs, the initial setup involves creating some Extensions, connecting some Trunks, and setting up Outbound and Inbound Routes to process calls to and from your PBX. The other hundreds of features are pure gravy which you can explore at your leisure. If we covered them all, you’d be reading a book instead of an article. Outbound Route Setup is virtually identical to the FreePBX format. Here’s a typical Google Voice route to let users dial 10-digit numbers while letting Google discard expensive NANPA calls to problematic area codes in the Caribbean and elsewhere. We actually recommend adding a second Dial Pattern for 1NXXNXXXXXX so that calls dialed with both 10 and 11-digits are supported. 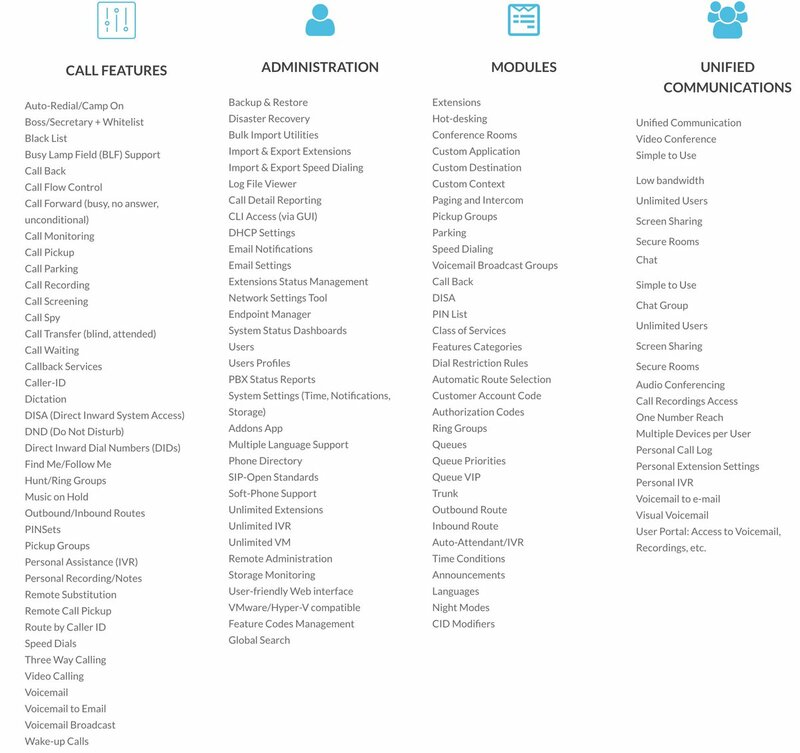 This will also facilitate implementation of some of the Incredible PBX add-ons down the road. Inbound Route Setup also is similar to FreePBX. A default route can be configured by simply defining the Route Description as Default and specifying a Destination for all incoming calls that don’t otherwise have a matching inbound route. Email Configuration. One of the other things you’ll want to get working is email delivery for Voicemails. The VitalPBX solution is the best in the business. It supports Gmail as a RelayHost out of the box. For residential users where your ISP blocks downstream SMTP mail servers, this is a godsend. Setup couldn’t be easier. Navigate to Admin:System Settings:Email Settings. For Server, click Use External Mail Server. For Provider, click Gmail and enter your full Gmail account name and password. Click Save and Reload your Dialplan. Then send yourself a test message by entering an email address and clicking the Envelope icon. What’s Next? You now have a perfectly functioning PBX. Connect one or more softphones or SIP phones, and you’re ready to go. As we mentioned at the outset, the next step is to explore all of the menu options and review the VitalPBX Reference Guide. It really is a book! The Fun Stuff. The icing on the VitalPBX cake is the add-on applications. Some are free, some are limited in some way, and some are commercial. You can review what’s available here. 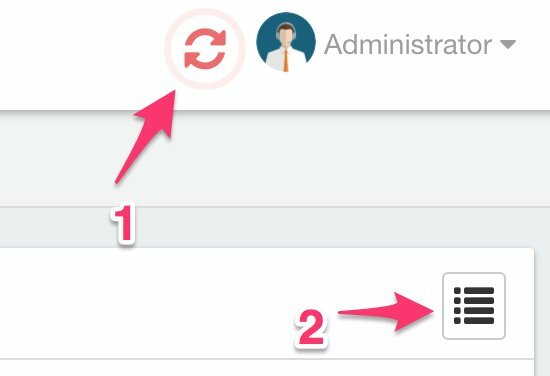 Then load the currently available listing into the GUI by choosing Admin:Add-ons:Add-ons:Check Online. To get started, install Bulk Extensions (free), Custom Contexts (one free context or $50 for unlimited), and Phone Books (free). 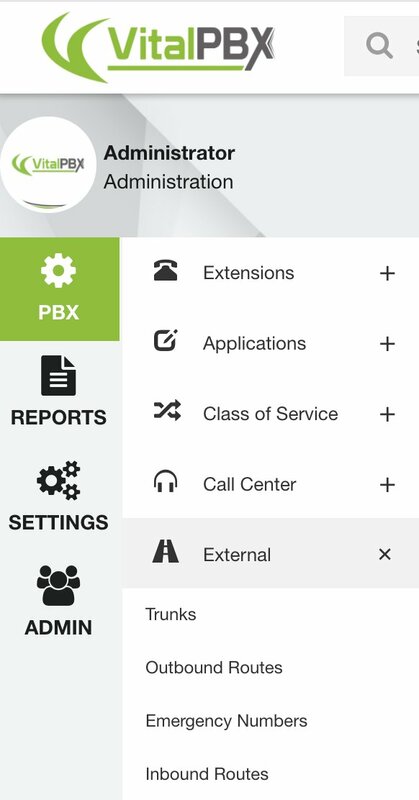 Once you’ve installed all three, refresh your browser and go to PBX:Applications:Custom Contexts. Step #1. Set up a Custom Context like this. Then click Save/Update and Reload Dialplan. Step #2. 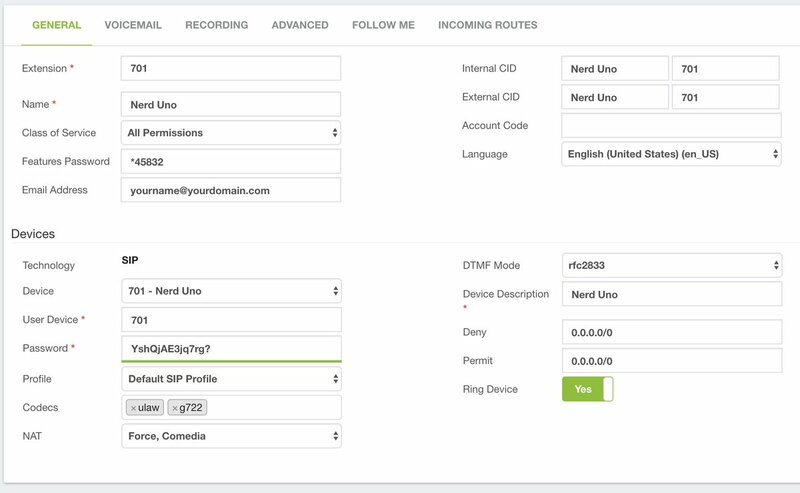 Adjust Destination of Inbound Route to point to Incredible PBX Custom Context. Step #4. Reload your Asterisk dialplan: asterisk -rx "dialplan reload"
Step #5. Place a call to an incoming trunk on your PBX while watching the Asterisk CLI. The tail of the incoming call should look something like the following which shows the incoming call directed to the Custom Context and from there to extension 701. Now that you understand the VitalPBX theory behind Custom Contexts, you’ll be ready to dive into Incredible PBX applications which will be coming soon to a VitalPBX platform near you. Homework. Yes. Everyone needs a little homework once in a while. Before our next chapter in the VitalPBX saga, you’re going to need an IBM Cloud account with access to Watson TTS and Watson STT. It’s free. 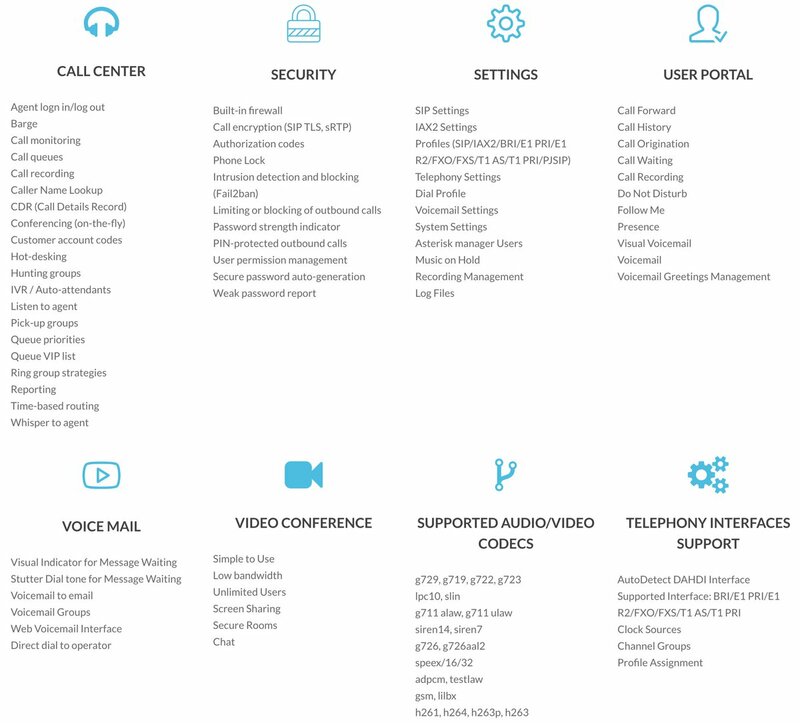 These services will be used for the Incredible PBX TTS and Voice Recognition apps for Asterisk including News and Weather reports as well as Voice Dialing with AsteriDex. This Nerd Vittles tutorial will walk you through getting your IBM account set up. Don’t install any of the scripts in that tutorial. We’ll have fresh ones in coming weeks customized for VitalPBX. For home and SOHO use, both IBM access and our scripts are FREE. Coming Attractions. We’ve set up a VitalPBX demo server with VMware ESXi running on our private LAN. Most of the Incredible PBX demo applications already are operational, and you’re more than welcome to try them out by calling the IVR at 1-843-606-0555. 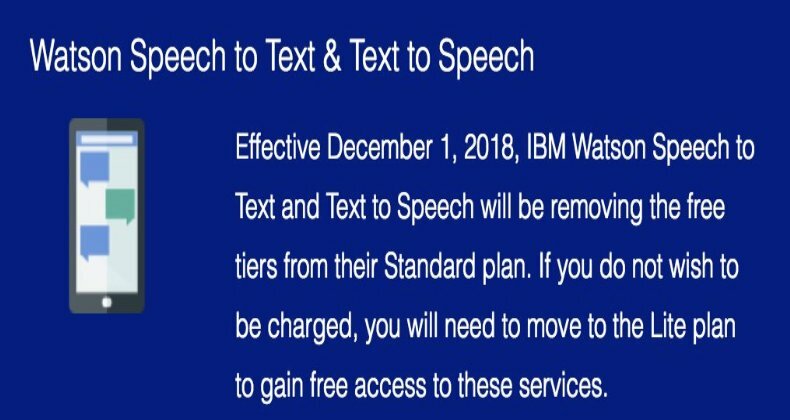 Many of these apps make use of the IBM Cloud services for voice recognition and text-to-speech content rendering so you can preview what you’ll be getting in our next VitalPBX chapter. 3. Wolfram Alpha Almanac – say "What planes are flying overhead"
VitalPBX is the best of the best softswitch IP-PBX. I’ve installed many sites without problems, but the most important thing here is the excellent support VitalPBX has. I’ve worked in Telematics for 36 years, expert in Nortel, Avaya and Cisco, and advanced knowledge in Asterisk and FreeSwitch, too. I have been using Ombutel since it first came out and I love it. Do you think your Travelin Man script would work? 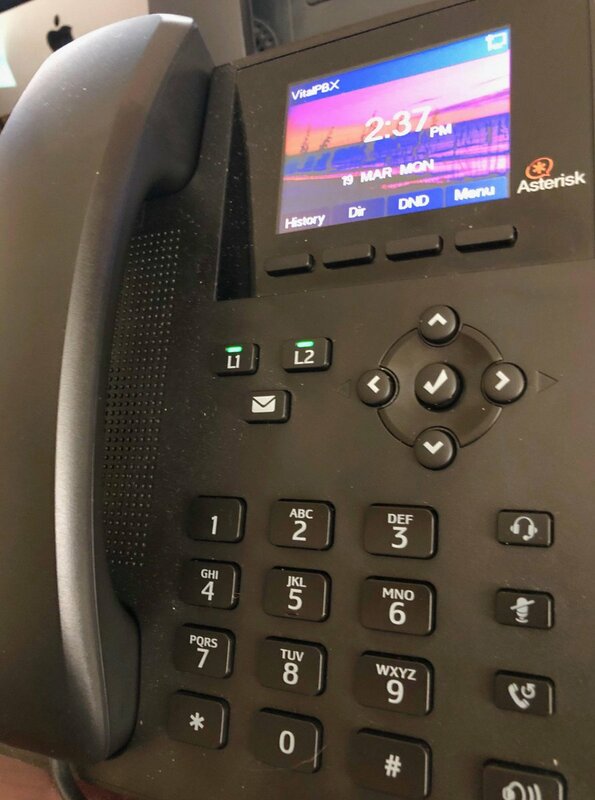 I loved your system to remotely connect to the PBX, it would definitely be a good tool for my own PBX so I can continue to use my system while on the road with no worry. Any help would be much appreciated. Thank you. Is faxing supported at all? Searching for the word fax within this article yields nothing. An interesting integration with the IncrediblePBX would be Amazon’s Alexa. Keep up the great work. 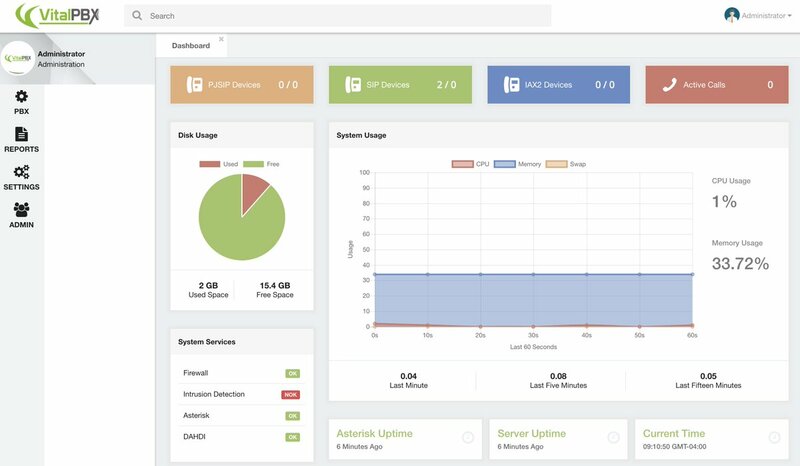 Would you recommend going the Incredible 13 VitalPBX route over Wazo/IncrediblePBX? Just getting ready to rebuild my home PBX system from the ground up as a VM on my NAS. I’ve been running some flavor of Asterisk for years, just looking for something easy to setup this time around.